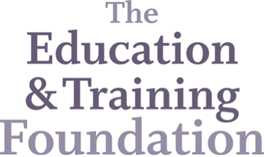 Pye Tait Consulting in partnership with Learning & Work Institute was contracted by the Education and Training Foundation to work on Phases 1 and 2 of the Functional Skills Reform programme. Our Phase 1 work on the revised National Adult Literacy and Numeracy Standards and Functional Skills Subject Content came to an end in December 2016, when final drafts of the Standards and Subject Content were submitted to the Foundation. The Foundation has submitted to the Minister the Standards, Subject Content and a short report with recommendations. Our Phase 2 work involved the development of two distinct but linked Exemplar Curricula to support the teaching of revised Functional Skills maths and English at all levels (Entry 1 – Level 2). Pye Tait Consulting in partnership with Learning and Work Institute led on this activity on behalf of the Education and Training Foundation. We worked with expert subject writers to help with the development of Exemplar Curricula materials which are intended to provide a useful resource for new and existing practitioners to support their teaching of the revised Functional Skills qualifications, at all levels. First drafts of the Exemplar Curricula materials were reviewed during January-February 2017 by a group of subject experts and practitioners. The Exemplar Curricula materials were then revised during March and April to reflect the extremely helpful feedback received. The revised drafts were delivered to the Foundation at the end of April 2017. Thank you to all those who contributed their valuable time and expertise to support the development of these materials. Contact Clare Vokes (c.vokes@pyetait.com) if you have any queries.